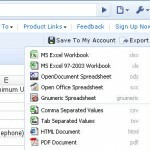 Just like the free pps viewer, Microsoft has also a free excel viewer for Ms office excel application.This free Microsoft Excel Viewer is useful to view and print Microsoft Excel documents, created with Excel 2007 or any earlier version of excel, on a PC that does not have Excel installed. We told you about the availability of PowerPoint viewer 2007 and PowerPoint viewer 2010 for free download.The free PPT viewer application lets you open and slide through any PowerPoint presentation.Likewise, Microsoft has already released an Excel 2007 Viewer that lets you open, view and print Excel workbooks, even if you don’t have Excel installed. The free Excel 2007 Viewer has been there for sometime now and microsoft is expected to release the Excel 2010 viewer soon.With Excel viewer, you can copy data from Excel Viewer to any other spreadsheet application. However, the viewer does not give you write permissions and hence you cannot edit data, save a workbook, or create a new Excel workbook. Free download Microsoft Excel Viewer 2007 and double click the downloaded Excel Viewer program file, to install the viewer. Excel viewer 2007 is ideal for such limited usage like opening and printing or copying the excel data.Enjoy the free excel viewer! 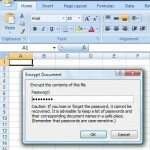 How to solve excel cannot open the file ... because the file format or file extension is not valid.